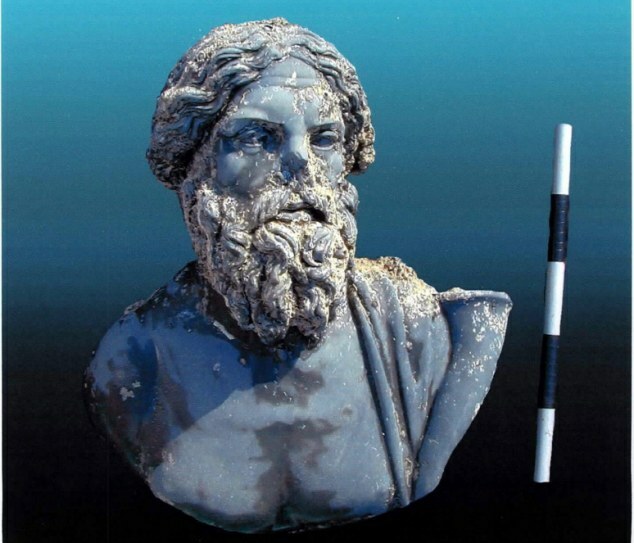 A real-life Atlantis which sunk off the coast of Egypt nearly 1,200 years ago has now been brought back to the surface with the help of 3D. 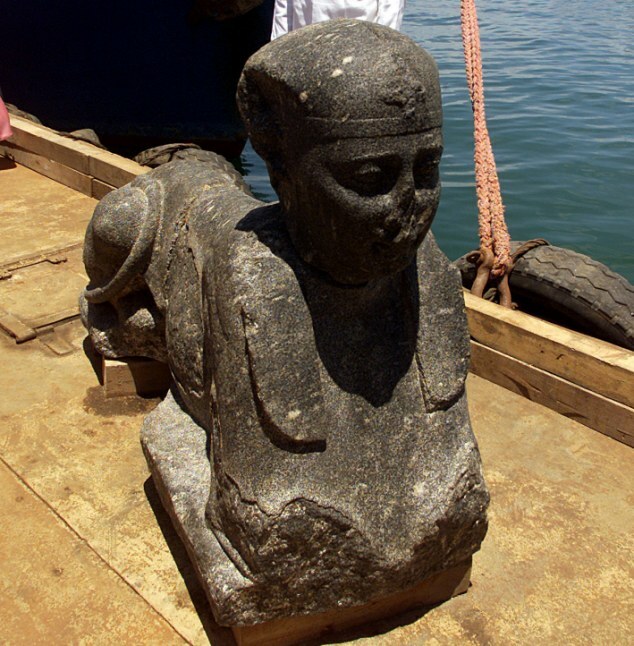 The city of Heracleion, home of the temple where Cleopatra was inaugurated, was one of the most important trade centres in the Mediterranean area before it disappeared into what is now the Bay of Aboukir. Heracleion was discovered in 2001, and after more than a decade of excavation, researchers have now been able to create a map depicting life in the ancient trade hub. 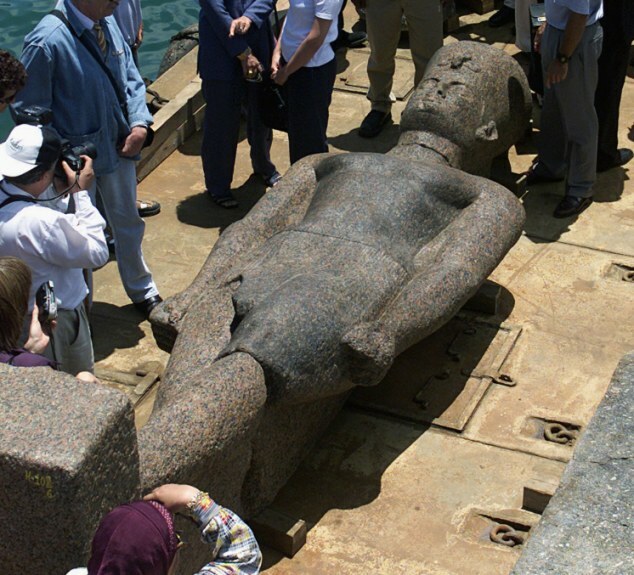 For centuries, Heracleion was believed to be a legend, much like the fabled city of Atlantis. But 12 years ago, underwater archaeologist Dr Franck Goddio was searching the Egyptian coastline for French warships from the 18th century battle of the Nile, but instead stumbled across the treasures of the lost city. After removing layers of sand and mud, divers discovered evidence of extraordinary wealth, painting a picture of what life was like in Heracleion, believed to have been at the centre of Mediterranean trade more than 1,000 years ago. Archaeologists have found remains of more than 64 ships, buried in the seabed four miles off the coast of Egypt, the largest number of ancient ships ever to be found in one place. As well as 700 anchors, the team have dug up gold coins and weights made from bronze and stone which would have been used in trade and to calculate taxation rates. ‘The site has amazing preservation,’ Dr Damian Robinson, director of the Oxford Centre for Maritime Archaeology at the University of Oxford, told the Telegraph.‘We are getting a rich picture of things like the trade that was going on there and the nature of the maritime economy in the Egyptian late period. 'There were things were coming in from Greece and the Phoenicians.‘ The international research team have also discovered remnants of the legendary temple of Amun-Gereb where Cleopatra was invested with the power to rule Egypt. 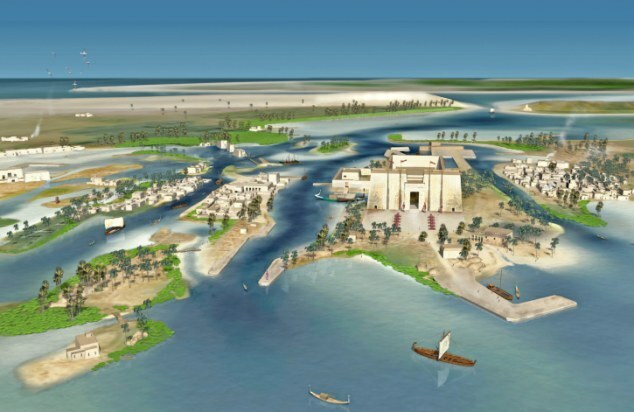 The temple was the centre point of Heracleion from which a Venetian web of canals and channels connected other parts of the city together.